The question of continuing the Bank of the United States became a serious political issue in the national election of eighteen thirty-two. The head of the bank, Nicholas Biddle, had become very powerful. Biddle refused to recognize that the government had the right to interfere in any way with the bank's business. The bank was privately operated but could make loans with taxpayers' money. President Andrew Jackson understood the power of the Bank of the United States. He opposed giving the bank a new charter. Jackson said the Bank of the United States was dangerous to the liberty of Americans. The bank, he said, could build up or pull down political parties through loans to politicians. The bank, he said, would always support those who supported the bank. He proposed to form a new national bank, as part of the Treasury Department. This week in our series, Stewart Spencer and Maurice Joyce continue the story of the Bank of the United States. In the election year of eighteen thirty-two, the bank still had four years left to continue. Its charter would not end until eighteen thirty-six. Jackson had been urging Congress to act early, so that the bank could -- if its charter were rejected -- close its business slowly over several years. This would prevent serious economic problems for the country. Many of Jackson's advisers believed he should say nothing about the bank until after the election. They feared he might lose the votes of some supporters of the bank. Biddle felt that this might be the best time to get a charter. Henry Clay, the presidential candidate of the National Republicans, helped Biddle to make this decision. Senator Clay, however, was not thinking of the bank when he gave his advice. Clay needed an issue to campaign on. Most of the people of the country approved of Jackson's programs. Clay could not get votes by opposing successful programs. But, he was sure that the issue of the bank could get him some votes. The campaign for a new charter was led by the most powerful men in each house of Congress. In the Senate, the bank's supporters included Senator Clay and Daniel Webster. Former President John Quincy Adams -- now a congressman -- led the bank's struggle in the house. The chief opponent to the bank was Senator Thomas Hart Benton of Missouri. "I object to the renewal of the charter," he told the Senate, "because the bank is too great and powerful to be permitted in a government of free and equal laws. I also object because the bank makes the rich richer, and the poor poorer." In the House, Representative Augustin Clayton of Georgia proposed an investigation of the bank. In a speech written by Senator Benton, Clayton charged that the bank had violated its charter a number of times. The bank's supporters were afraid to vote down the proposed investigation. It would be almost the same thing as saying that the charges were true. The investigation was approved. And a special committee was given six weeks to study the charges against the bank. Four members of the seven-man committee were opponents of the bank. Three, including John Quincy Adams, were friendly. As expected, opponents of the bank found the charges to be true. And the bank's supporters found them all to be false. The majority report told of easy loans made to congressmen and newspapermen. It said a New York newspaper that had opposed the bank began supporting it after receiving a secret fifteen-thousand-dollar loan. The investigation did not really change the votes of any of the congressmen. Many votes had been bought by the bank. Attorney General Roger Taney told of one example of this. Taney opposed the bank. And he rode to work one morning with a congressman who also opposed it. The congressman asked Taney for help on a speech he planned to make against the bank. Taney was surprised later to find that this same congressman had voted to give the bank its new charter. The congressman told Taney that the bank had made him a loan of twenty-thousand dollars. The Senate finally voted on the bank's new charter. The vote was twenty-eight for and twenty against. The House voted three weeks later. It approved the charter, one hundred seven to eighty-five. The bill was sent to the White House. President Jackson called a cabinet meeting. Two cabinet members, McLane and Livingston, agreed that the bill should be vetoed. But they urged Jackson to reject the bank charter in such a way that a compromise might be worked out later. 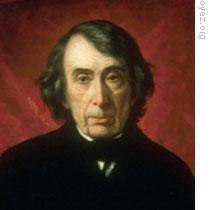 Attorney General Taney, however, believed that the veto should be in the strongest possible language. He opposed any compromise that would continue the bank beyond eighteen thirty-six. Jackson agreed with Taney. He asked the attorney general and two White House advisers to help him write the veto message. They worked on the message for three days. On July tenth, the veto was announced. And the message explaining it was sent to Congress. Jackson said he did not believe the bank's charter was constitutional. He said it was true that the Supreme Court had ruled that Congress had the right to charter a national bank. But he said he did not agree with the high court. And Jackson said the president -- in taking his oath of office -- swears to support the Constitution as he understands it, not as it is understood by others. He said the president and the Congress had the same duty as the court to decide if a bill was constitutional. Jackson also spoke of the way the bank moved money from West to East. He said the bank was owned by a small group of rich men, mostly in the East. Some of the owners, he said, were foreigners. Much of the bank's business was done in the West. The money paid by westerners for loans went into the pockets of the eastern bankers. Jackson said this was wrong. Then the president spoke of his firm belief in the rights of the common man. "It is to be regretted," he said, "that the rich and powerful bend the acts of the government to their own purposes. Differences among men will always exist under every just government." "Equality of ability, or education, or of wealth cannot be produced by human institutions. Every man has the equal right of protection under the laws. But when these laws are used to make the rich richer, and the powerful more powerful, then the more humble members of our society have a right to complain of injustice." Jackson said he could not understand how the present owners of the bank could have any claim of special treatment from the government. He said the government should shower its favors -- as heaven does its rain -- on the high and low alike, on the rich and the poor equally. 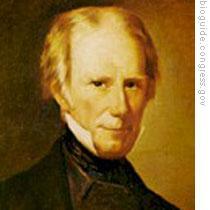 Henry Clay had made the bank bill the chief issue of the eighteen thirty-two presidential election campaign. Andrew Jackson chose the words of his veto message for the same purpose -- to win votes in the coming election. His veto of the bank bill cost him the votes of men of money. But it brought him the votes of the common man: the farmer, the laborer, and industrial worker. 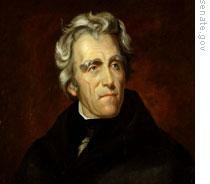 After his first two years as president, Andrew Jackson was not sure he wished to serve a second term. Jackson was not sure his health would permit him to complete a full eight years in the White House. But he wished to be a candidate again in eighteen thirty-two to give the people a chance to show they approved of his programs. Jackson decided that he would campaign again for president. But if he won, he would resign after the first or second year, and leave the job to his vice president. Our program was written by Frank Beardsley. The narrators were Stewart Spencer and Maurice Joyce. Transcripts, MP3s and podcasts of our programs are online, along with historical images, at www.unsv.com. Join us again next week for THE MAKING OF A NATION - an American history series in VOA Special English. Andrew Jackson had a famous saying that the government would shower its favors --- as heaven does its rain --- on the high and low alike, on the rich and the poor equally.